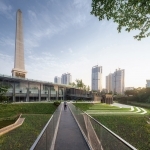 Chongqing Big Data Intelligent Exhibition Center is a landscape and architecture redesign project. 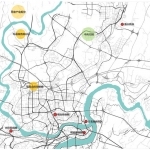 It locates in Liang Jiang New Area Happiness Square,Liang Jiang New Area, Chongqing, where is the core zone of Zhaomushan Science and Technology New Town. Since Jiang Bei International Airport opened in 1990, Chongqing began its journey northward. In 2000, a new district in northern Chongqing was established. 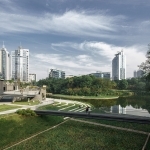 In 2010, Liang Jiang New Area was approved to be established. The North New Area of Chongqing has become the Bellwethers of other districts in urban construction and industrial agglomeration. 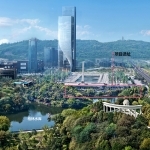 The Zhaomushan Science and Technology New Town, which was regarded as “a little far away without supporting facilities” 15 years ago, has already been transformed into an important business district with technology companies clustering, convenient Rail Transit, Zhaomushan Forest Park, fast access to the city center and high-quality residential areas. 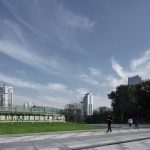 The project site is located at the south side of Happiness Square in the center of Zhaomushan Science and Technology New Town, just below the obelisk, and adjacent to Bolin Park. The building was originally a restaurant that had been closed for several years. 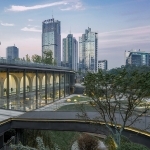 In order to greet the Zhibo Expo held in Chongqing in late August 2018, the exhibition hall is located here. 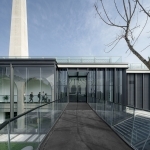 Based on the urgent requirement of opening time, the owner has chosen the way to redesign the existing buildings to save time. It took only eight months from design to put into use. 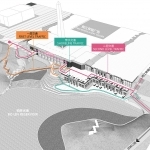 In the designer’s eyes, this project not only shoulders the heavy responsibility of being the branch venue of the Intellectual Expo, but also is a rare opportunity for urban micro-renew. 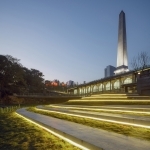 The design combines “light intervention” in architecture with “heavy participation” in landscape. 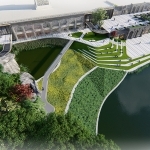 We hope that by the implementation of the exhibition center project, we can carry out an special type of site transformation in the area of Happy Plaza, inject new attraction into the local area, make the surrounding citizens and workers love to visit, make the square and park more popular and more energetic. Let this business district has a richer life experience. 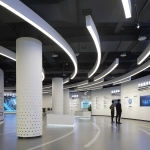 Like many administrative area in China, the office buildings of Mushan Science and Technology New Town are dense, but the life style is tedious. 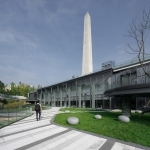 Although the office buildings are surrounded by a large square and Bolin Park, the accessibility is weak and the landscape of the park has not been fully experienced, which is a pity. Before this project, we have been providing design consultation to the platform development company with the background of the government. 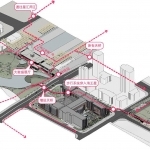 We hope to build a more complete walking system and even an aerial corridor system in this area to connect the East and west of the administrative area which is cut off by Xing Guang Avenue. The implementation of this project has become a part of the engineering system we are thinking about. 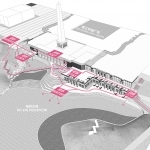 We hope that this project will be integrated into the walking system, through design, to create a very splendid segment, to get through the vein, to achieve a more adequate series of areas. 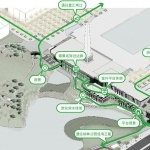 To a more microcosmic level, we link the East-West walking path around the lake through a series of improved trail processing, forming a closed loop, and docking with the subway station in the northeastern corner. More walkers were attracted. To achieve this goal, we first transformed the site type of the project. The original feature of the site is a private dining place, which has been abandoned for a long time. The trees are dense, and the view is very negative. This is contrary to our presupposed sense of a public place. 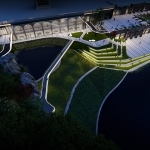 Therefore, we have carried out all plants and presented the lake bank along the site, so that tourists can enjoy the scenery of lakes and mountains. Before redesign: closed courtyard, dense trees, isolation from the outside environment, poor site accessibility, introverted space. Disordered plants, poor view, lack of participation and hydrophilicity. After redesign: natural and comfortable, fresh and breathable landscape space, enhanced the participation and accessibility of the site. Landscape takes “Heavy Participation” as the design principle, project theme “big data” as the concept element, extracts the “point + line” mode of large data transmission, extracts and deduces the key elements of graphics, and combines the site terrain with functional layout to form a unique landscape form. 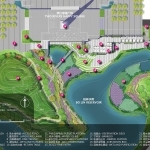 Relying on the original landscape resources, through the renovation of the lake banks and use the “as natural” design, add waterfront leisure space, strengthen the relationship between land and water. 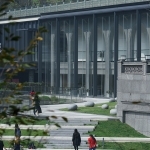 According to the overall tour demand of the big data exhibition hall, combined with the entrance and exit of the building, the traffic flow line are redesigned, integrated with the exhibition tour line inside the building, divide the landscape functional space of the outdoor space, strengthened the relationship between land and wate, and create a three-dimensional landscape. 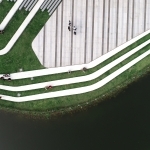 In order to upgrade the pedestrian system in the area, we have put three new bridges into the place, connecting the interior buildings with the waterfront landscape area, and connecting the East-West pedestrian vein of the area, forming the main line of the whole area. 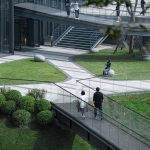 At the same time, we have created a series of Scenic spots along the way, such as the outdoor viewing platform and the indoor viewing corridor open to the public, to create abundant space. Rich and changeable walking experience. 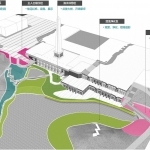 Functionally, the original main entrance square will be widened to satisfy the functions of crowd distribution, vehicle return and temporary parking. At the same time, add the main entrance LOGO to enhance the overall welcoming atmosphere. 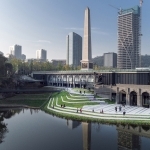 Repair the cascade, forming a dynamic landscape, enriching the auditory sensation during the tour, and having the function of aeration to purify the water. Combining with the adjacent barrier-free landscape bridge, formed a view point of the whole site here. Functionally, on the premise of satisfying the earthwork balance in the site, combing the original terrain and plants in the waterfront area, making appropriate transformation of the original hydrophilic landscape layout near the lake bank, on this basis, building hydrophilic small square, forming aquatic plant ecological revetment through the form of the slope lawn entering water; the barrier-free landscape bridge and step-back ecological design are used to link the regions with large height difference and construct multilevel landscape space. 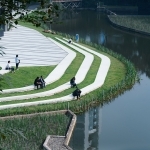 The ecological grassland not only improves the function of pedestrian transportation, but also combines with hydrophilic small square to form a lakeside open-air theatre seating area with flexible and free functions, which integrates the functions of hydrophilic, sightseeing, leisure and performing arts activities. 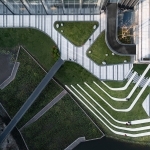 It also strengthens the landscape integrity of the site in form, and also echoes the large data landscape elements extracted from the design concept. In order to create a comfortable and abundant tour path, we put four bridges in the original site. 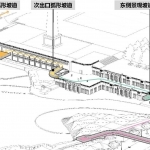 Through the way of landscape bridge, we can connect the indoor exhibition hall with the outdoor venue and surrounding areas, open the pedestrian line, and form the main tour line. Using barrier-free access to satisfy the needs of different groups of people, while resolving the problem of equipment transportation in exhibition halls. 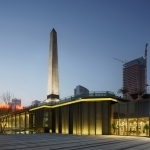 By connecting the first and second floors of Commerce in series with the functional requirements of the exhibition hall, an outdoor coffee umbrella seats is set up on the roof of the southern area of the exhibition hall. Considering the limited load of the existing roof, the movable flower box is used to rationally separate the roof’s resting space. In the building facade redesign project, on the one hand, due to the pressure of the construction period, on the other hand, for the consideration of overall style coordination, we set up the design principle of “light intervention” . 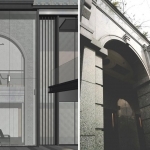 Classify the existing facade, not to make a big move, but to redesign parts of the facade and reduce the amount of work. After careful scouting, we dismantle some abrupt and worn facades and replace them with vertical metal grilles coordinated with the color of the facade; for the more unified facade elements, we adopt the way of “outer cover” glass to transform the facade style; for the dry hanging stone facade, we retain the facade part, and fill the concave and convex gaps in the outer wall to enhance the facade as a whole Sense. 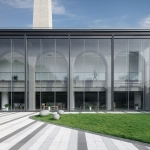 The site adjacent to the building curtain wall is designed in a simple way with lawn, stone paving and glass balustrade. The emphasis is on highlighting the overall sense and sequence sense of the facade curtain wall outside the building. At night, under the reflection of the lighting of the building curtain wall, the whole site will be clean and transparent. 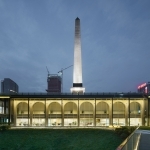 The total indoor area of the project is 5200 square meters, of which the main exhibition hall is 1800 square meters, near the west entrance square, located on the second floor, and the first floor is about 800 square meters, designed as the manager’s office. The interior area of the second floor area adjacent to the main exhibition hall is about 1100 square meters, which was designed as a creative shop named “MK SPACE”, and the 1480 square meters of the lower floor is designed as an enterprise exhibition area, which is connected with the main exhibition hall through an additional escalator. This project is small in scale, but the difficulty of different expertise collaboration is very high. Due to the time is too urgent, the project adopts the way of design master contract. 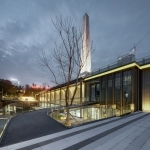 The architect coordinates the work of the sub-contracted design teams, such as master control architectural design, landscape design, curtain wall deepening design, lighting design, fire protection design and so on, and carries out the design work synchronously. At the same time, the interior design and exhibition design team also started to design at the same time. Because of complex terrain reasons, the south of the building is adjacent to water, and the other three sides are existing dispersion. 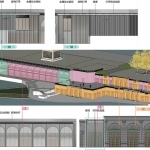 Because this project is an old building reconstruction project, it is difficult for large-scale construction equipment to reach, which makes construction organization extremely difficult. Fortunately, the project is still completed on time and open on schedule. 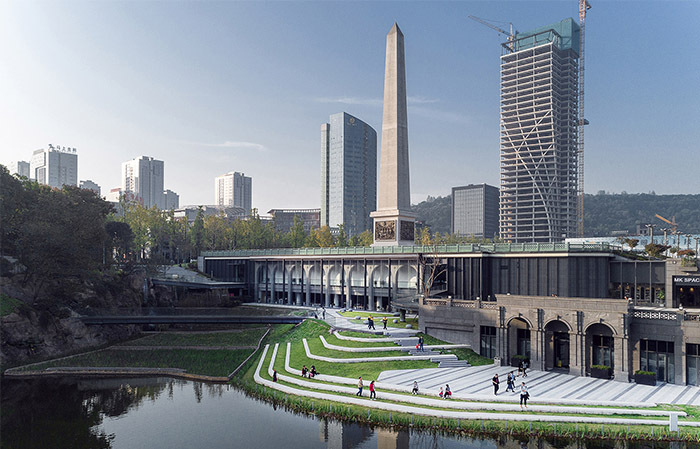 We believe that the significance of urban micro-renew lies in the proper design intervention, fully retaining the urban memory, avoiding the complete demolition and construction, so that the urban fragments familiar to the citizens can be transformed into a more beautiful environment and a better place to experience. Micro-update design attitude is a sustainable design position. 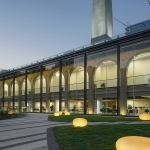 Urban micro-renew shows enough respect for the history of the city. Although in the process of implementation, the project will face more constraints and unknown engineering difficulties than new projects, it can be said that it is normal for the project to see recruiting and demolishing recruits and avoid big action, but we also believe that designers should have such a sense of social responsibility. Provide a better use experience for users. Nowadays, the surrounding citizens have gradually found this new place for walking. The number of people resting near the lake is slowly increasing. 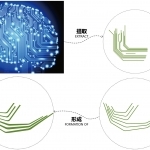 Owner Unit: Chongqing Gaoke Group Co., Ltd.
Construction Unit: Chongqing Luzhong Coastal Landscape Engineering Co., Ltd.